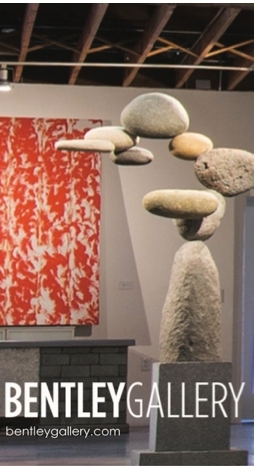 Top: In the forefront is Velocity Head, a sculpture by Jan Kaneko. In the background, the band Traveler performs while guests dance under the stars. 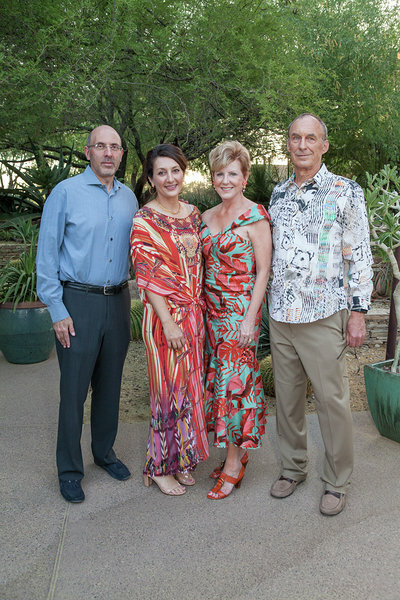 Bottom, left: Left to right, Armity and John Simon with Jacquie and Bennett Dorrance. 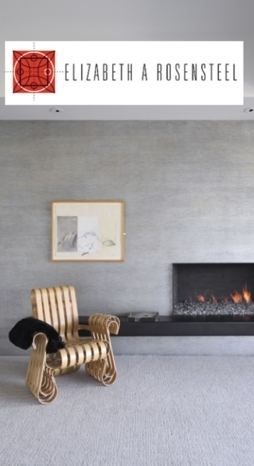 Bottom, right: Rebecca Ailes-Fine and Peter Fine. 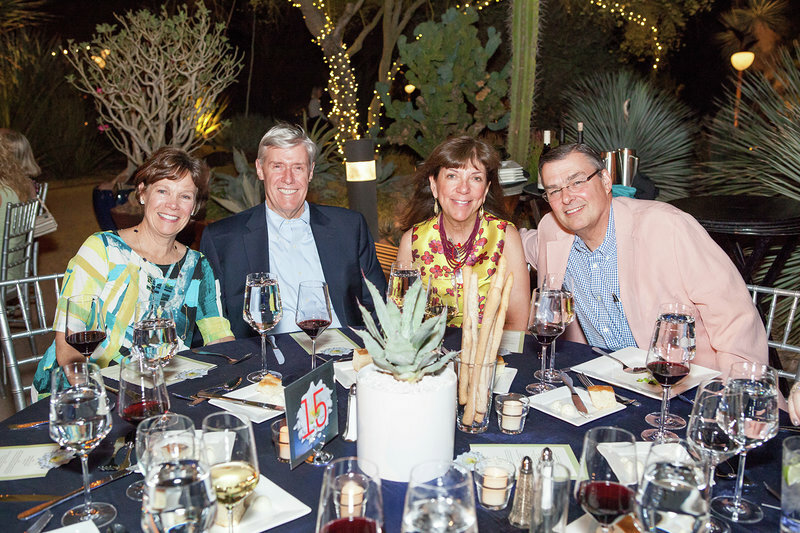 On Saturday, April 28 more than 600 philanthropists, community leaders, Garden donors and members gathered for the 32nd Annual Dinner on the Desert, Desert Botanical Garden’s major annual fundraiser. 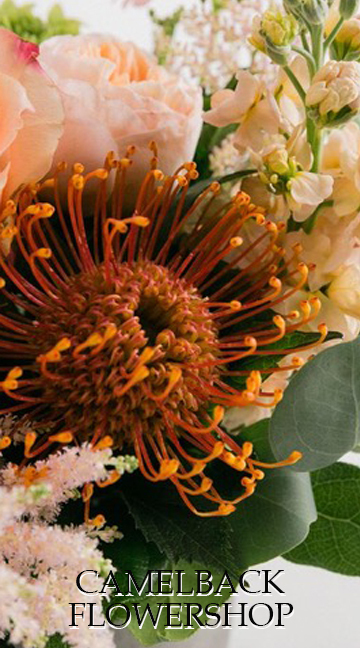 The $450,000 raised will be used to support Sonoran Desert field trips for students, care for the Garden’s world-class plant collection and the important conservation efforts of our field botanists. 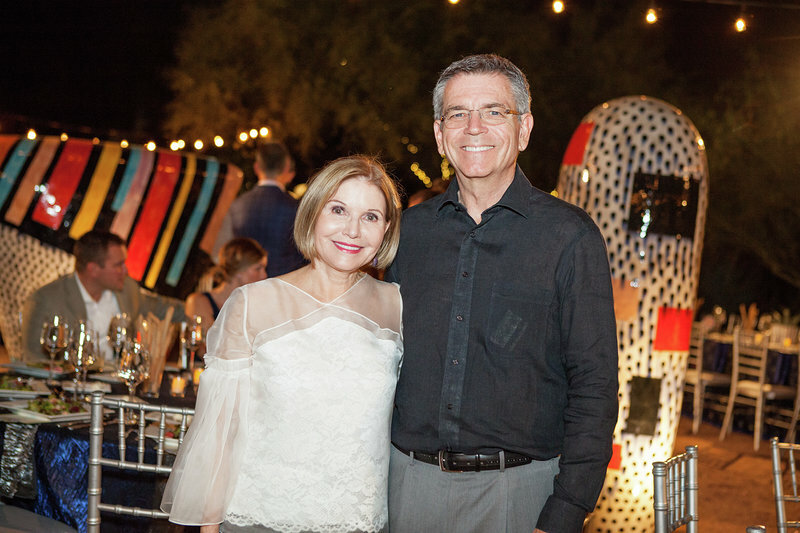 This year’s chairs, Kathleen and Steve Taddie of Paradise Valley, welcomed guests into the Ottosen Entry Garden with cocktails and music by Ruthie Wilde and Sipho Mabingani. Top: Left to right, Carolyn and Mark O’Malley with Rose and Harry Papp. Bottom, left: Jan and Tom Lewis. Bottom, center: Left to right, Charlie Ray, Scott Burdick and Jack Black. Bottom, right: Martin and Eva Perez. 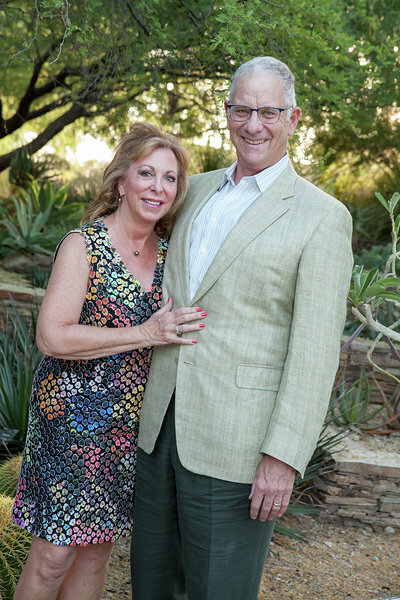 The Taddies, personally and through their business Stellar Capital Management, have been engaged with Desert Botanical Garden for more than 10 years. 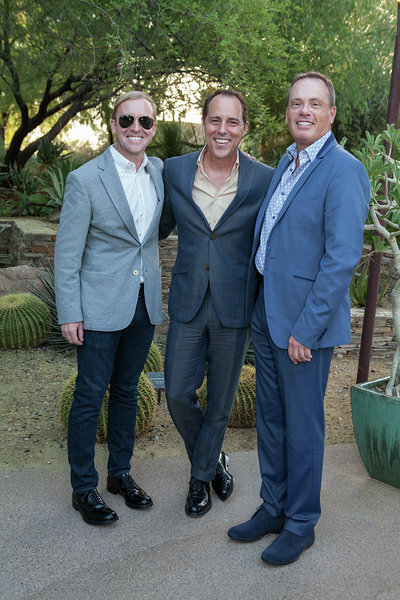 Their vision for this year’s gala was A Garden Full of Stars. The concept centers around how beautiful the starry night sky is at the Garden, and how everyone who attends and supports the Garden are the “real” stars. 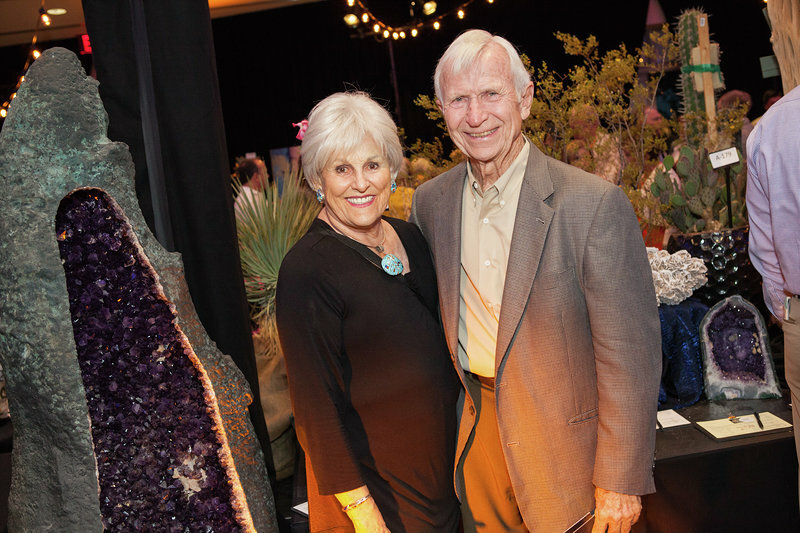 During the event, guests strolled through the Garden to the silent auction taking place in Dorrance Hall to bid on more than 240 distinctive plants, potting containers and garden art, as well as unique and exciting experiences. 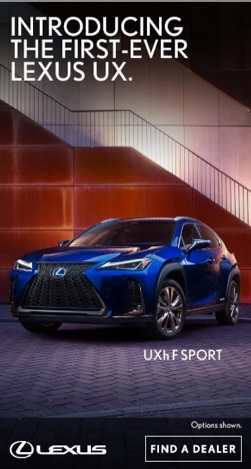 The Super Silent Showcase featured 32 exciting one-of-a-kind experiences, designer décor and benches, art and sculpture and fine dining. Top, right: Elva and Lattie Coor. Top, left: Margot and Dennis Knight. 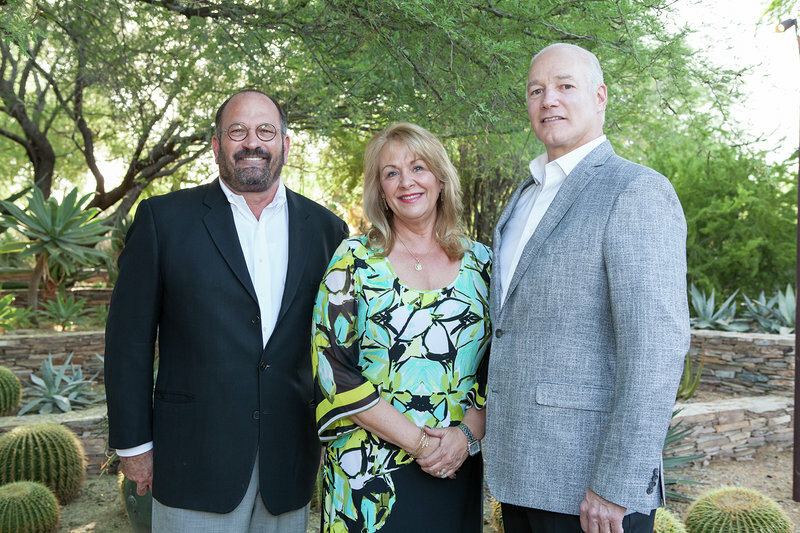 Bottom: Left to right, Ken Schutz with Kathleen and Steve Taddie. Guests dined in Stardust Foundation Plaza and on Ullman Terrace. 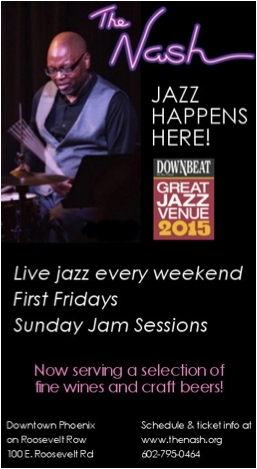 Pianist Nick Manson provided music and Hyatt/Copper Square Kitchen catered the gourmet meal. 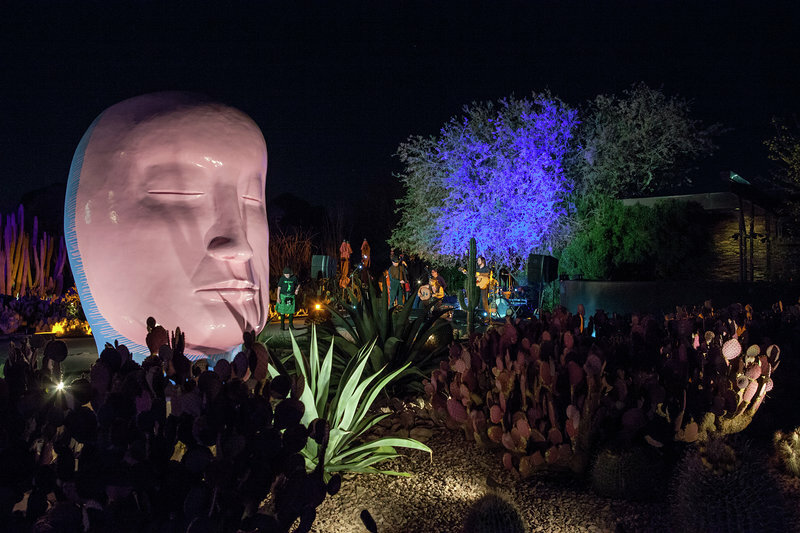 After dinner guests gathered in the Ottosen Entry Garden to enjoy the stars up-close-and-personal with Phoenix Astronomical Society, then danced the night away to the tunes of The Garden’s favorite band, Traveler. 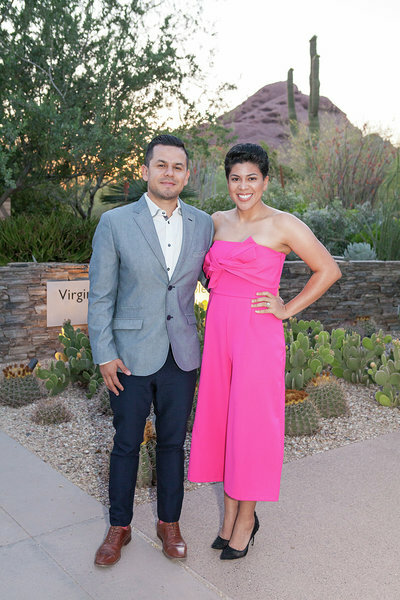 The funds raised from the event will directly benefit the Garden’s work to protect cactuses, one of the most threatened groups of living organisms. 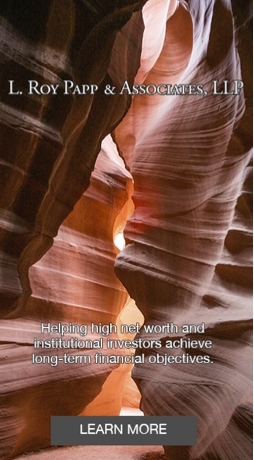 The Garden is committed to advancing excellence in education, research, exhibition and conservation of desert plants of the world with emphasis on the Southwestern United States. 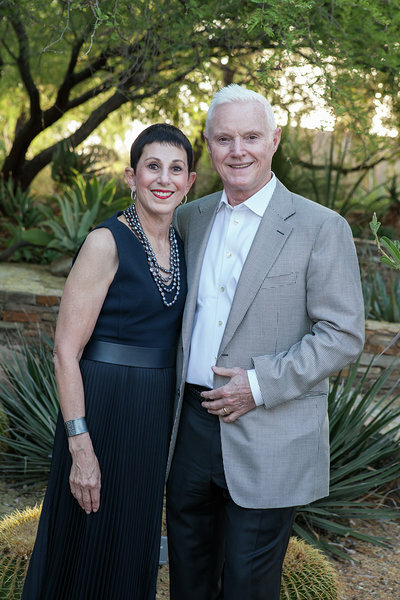 A special thank you to all of the evening hosts: Blue Cross® Blue Shield® of Arizona, Jacquie and Bennett Dorrance, Jan and Tom Lewis, Marta Morando and Bill Moio, Dr. Jane and Jason Barlow, Rest Assured, LLC, Wiseman and Gale Interiors, Affinity Wealth Advisory Group and Kathy and Chuck Munson.